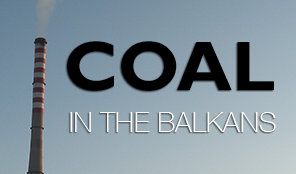 Home > Blog entry > After Slovenia’s Sostanj coal power plant debacle, is any bank going to finance Croatia’s Plomin C? After Slovenia’s Sostanj coal power plant debacle, is any bank going to finance Croatia’s Plomin C? Slovenia’s newly built Sostanj 6 is expected to generate losses of around EUR 200 million over the next 3-4 years. Given that Croatia’s Plomin C project shares some of Sostanj 6’s features could Croatia be about to repeat its neighbour’s mistakes? This blog post is published jointly with BankTrack. Slovenia’s newly built Sostanj 6 is expected to generate losses of around EUR 200 million over the next 3-4 years. This was the view put forward at a recent panel discussion in Zagreb by Blaz Kosorok, General Director of Holding Slovenske Elektrarne (HSE), Slovenia’s state-owned power generation company and the country’s largest company. Given that Croatia’s Plomin C project shares some of Sostanj 6’s features – failure to really consider alternatives, a lack of transparency about costs, and failure to properly include the public in decision-making – could Croatia be about to repeat its neighbour’s mistakes? And how is the only major international financier involved in Plomin C to date – Crédit Agricole – viewing its own future in another looming Balkan coal power debacle? Few people acknowledged what was happening until Sostanj 6 was half-built, leaving the government with the painful and expensive decision of whether to continue construction or to abandon the project. In order to shed some light on the issue, on May 28 Zelena akcija/Friends of the Earth Croatia held a panel discussion in Zagreb. Kosorok, who became General Director of HSE only once Sostanj 6 was under construction, outlined the sorry story of how a small group of individuals, pushing the Sostanj 6 plant in order to maintain their own jobs, ended up dictating the direction of the whole country. Few people acknowledged what was happening until the plant was half-built, leaving the government with the painful and expensive decision of whether to continue construction or to abandon the project. Lidija Zivcic from the Slovenian NGO Focus explained further during the discussion that Sostanj 6 was never part of a national energy strategy, but rather a wish-list of random projects. No alternatives were ever seriously considered, and the environmental assessment consultation was announced very discreetly, with mainly the communities nearest to the plant ever being consulted. Since the project was touted as safeguarding 3500 jobs (in the end it has maintained only 200), it was never likely that locals would criticise the project. It wasn’t until HSE requested a loan from the European Investment Bank (EIB) in 2007 that it even became clear that Sostanj 6 was progressing. The initial cost of Sostanj 6 mentioned in public – EUR 690 million in 2006 – more than doubled to EUR 1.4 billion by 2014. Key economic assumptions such as the price of lignite for the plant were clearly unrealistic, but objections made by Focus and others were not heeded. They have turned out to be correct. In spite of the involvement of the EIB and later the European Bank for Reconstruction and Development (EBRD), Europe’s two multi-lateral development banks which like to believe they help to raise standards when they involve themselves in major infrastructure projects, Sostanj 6 has been hit hard by corruption allegations, for which ten people have been charged. The main contractor and equipment supplier for Sostanj 6 was Alstom, whose staff and subsidiaries have been found guilty of corruption offences in at least seven cases in seven years across different continents, and is under investigation for several more. Alarmingly, Alstom is also the planned contractor for Plomin C, along with the Japanese consortium leader Marubeni, which has also been found guilty in two major corruption cases within three years, and was debarred from receiving loans from the Japan International Co-operation Agency for nine months from March 2014. Bernard Ivcic of Zelena akcija also outlined how several of the hallmarks of Sostanj 6 are also true for the estimated EUR 800 million Plomin C, slated for development on the beautiful Istrian coastline. 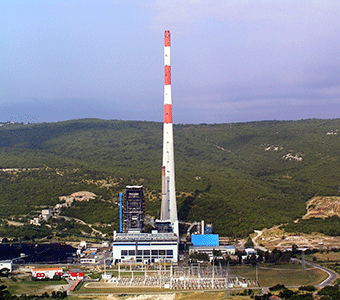 The project is touted as replacing the existing 125 MW Plomin 1 plant, but at 500 MW would in fact be four times larger. Although in this case public consultations for the coal plant project’s environmental assessment have been better publicised, (in fact they’ve been marked by overwhelming public opposition to the project), the approach by Plomin C project promoter Hrvatska Elektroprivreda (HEP) to public comments throughout the process is similar to HSE’s in the Sostanj 6 case: to push the project along as if they didn’t exist. Among the issues raised by local people and NGOs have been the futility of replacing imported electricity with imported coal, the health risks, the worsening economics of coal, the project’s climate impact, the lack of consideration of alternatives and the clash with Istria county’s tourism industry. In March this year a local referendum resulted in 94% of voters delivering a clear “No” to Plomin C.
The lack of transparency sounds familiar too. HEP plans to sign a long-term power purchase agreement with Marubeni, which may well be incompatible with EU state aid rules. Negotiations are taking place without any hint of what HEP is offering Marubeni, but Croatian media reports suggest that Marubeni is requesting an electricity sale price double that of the current price on European electricity markets. Plomin C differs, however, from Sostanj 6 in that the EBRD and the EIB won’t touch it with a barge-pole. As part of the global trend away from coal investments, in 2013 both banks virtually eliminated their lending for coal power plants. Notably, though, a senior bank source at the EIB has gone on the record to describe Sostanj 6 as “one of those projects that tend to haunt you”. The EIB almost never offers up such critiques of projects it’s been involved in – an indication of just how bad Sostanj 6 has been, and remains. How exactly, then, has the Plomin C experience been for top French private bank Crédit Agricole, the only international bank to have involved itself in the project to date through the provision of ‘advisory services’ since September 2014? Have some of the project’s most egregious aspects, witnessed up close, started to haunt Credit Agricole yet? They certainly should have, and Friends of the Earth in Croatia and France, as well as Bankwatch and BankTrack, believe that the bank must immediately withdraw from the project. For Crédit Agricole to carry on supporting new coal power plants would be inconsistent with its decision announced just last month to both end finance for new coal mining projects and stop all support to specialised mining companies. Moreover, not only do more than two thirds of fossil fuel reserves and more than 80% of coal reserves need to remain in the ground, but only zero-carbon utilities and infrastructure should be developed beyond 2017 since 80% of cumulative emissions allowable between 2010 and 2035 are already locked-into existing power plants, factories, buildings and services. Coal is the climate killer number 1 and, regardless of the technologies used, any new coal power plant would jeopardise global efforts to prevent a climate catastrophe. If Crédit Agricole wants its decision to rule out support for the coal mining sector not to appear as a strategy simply for minimising financial risk in a dying sector, but instead to stand as a true commitment to fighting climate change, the bank must now end its support for all new coal power plant projects such as Plomin C and sign up to the Paris Pledge (pdf).